Singapore – When a company has been operating with negative cash flow yet reporting profits annually and giving generous remuneration to its top management amidst stakeholders losing their investments, the ears and eyes of Singapore’s Securities Investors’ Association (SIAS) will be piqued. The investor watchdog has raised questions directed to troubled water treatment firm Hyflux regarding its financial activities. In 2017, the firm reported losses of S$115.6 million and have been in the red with its cash flow since 2009. 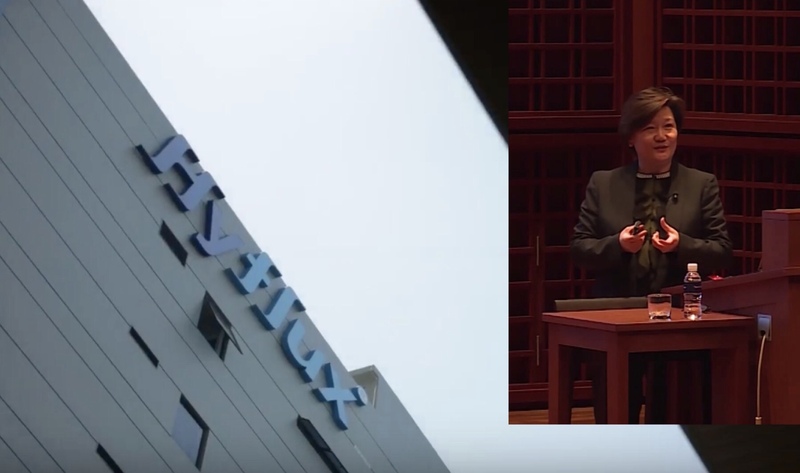 Therefore, SIAS brought up the question of how Hyflux’s CEO, Ms. Olivia Lum received around S$1million in salary, benefits, and bonuses plus another S$60 million in dividends. Its key executives were also paid about S$2.7 million “at a time when shareholders and bondholders have seen their entire investments destroyed,” stated SIAS. The investor watchdog has provided Ms. Lum and her board around 40 questions in a letter that was issued on February 11, 2019 (Monday), by David Gerald, SIAS’ President and CEO. Some of the issues mentioned in the letter included the restructuring process of Hyflux and whether or not Ms. Lum donated her gains into this transition, and if the current CEO will retain her position after the change in management. During the first month of 2019, Hyflux’s minority shareholders, especially its retail investors have been growing increasingly worried about how much they can recover from an investment on a company that is drowning in debt worth S$3 billion. The town hall meetings organised last month did not give them any reassurance as it provided minimal concrete action steps regarding pay-outs. Some would even rather have the company liquidated than the possibility of waiting longer only to incur even more losses. The restructuring process began last May 2018 when Hyflux ceased its trade in all of Singapore exchange-listed shares which only alarmed its thousands of investors. From there, the firm announced of a possible way out when a merged venture by Indonesian conglomerate Salim Group and energy megacorp Medco Group shared its interest on Hyflux through an investment worth S$530 million for a majority stake of 60%. Even the huge investment of the SM Investments group did not make a big dent on Hyflux’s current debt in which S$717 million are owed to unsecured bank creditors, S$915 million to its unsecured contingent creditors, S$271 million to its medium-term noteholders and the other S$900 million to its holders of perpetual securities and preference shares. Questions have also been raised regarding the success rate of such a buyout as it will need the approval from a lot of parties including all of Hyflux’s stakeholders and the go signal from government agencies like the Public Utilities Board (PUB) and the National Environmental Agency (NEA). Hyflux has informed the public that it will release its restructuring proposal by mid-February. Another point of issue that SIAS included in the letter was about the Tuaspring Integrated Water and Power Plant and why it was over-valued by at least S$900 million standing at S$1.4 billion. Furthermore, the plant has been incurring losses since it began its operations in 2015 and how Hyflux has been able to acquire new investors, a prospective one being SM Investments mentioned above, while maintaining transparency of asset values. Meanwhile, Hyflux has claimed that the cause for its financial instability and issues came from the low electricity prices which made Tuaspring unable to compensate. According to SIAS, if Hyflux was to liquidate, around S$2.6 – 2.7 billion worth of outstanding and contingent debts would be compromised.